With no signs of slowing, Space progressed throughout the first decade of the 21st century, consistently bringing in the top dance talent from throughout the world. Sets of ten hours or more became the norm for guest DJs, with talent like Deep Dish, Behrouz, Sander Kleinenberg, Erick Morillo, David Guetta, Eric Prydz, Victor Calderone, Mark Knight, Boris, Desyn Masiello, as well as new residents Cedric Gervais, Patrick M, and Lazardi easily playing into the afternoon hours. This year sees Space celebrating fifteen years in the business! Space always open on Saturdays – usually until 3-4 PM on Sundays. One of the best after hours spots in Miami. On occasion Space will be open on Fridays as well – check the app for details! If you plan to go to Space we would recommend buying tickets beforehand – the ticket line is significantly shorter than general admission. 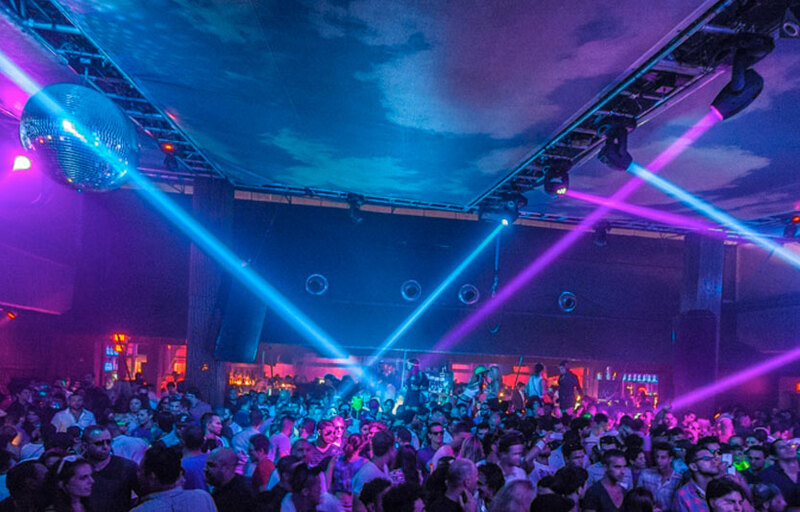 There are 2 rooms – main room and terrace, with two different DJs spinning. Space is located in downtown Miami at N Miami Ave and 11th Ave.
How much is cover charge at Space? General admission is usually $20-40 on standard nights. On nights with big DJs expect to pay more. How long will I have to wait at Space? Average wait times totally depend on the night and what time it is. If you arrive at around 11 when the club opens there will generally be no wait, but as the night goes on the line typically gets longer and longer. Because space is open until 4 PM the next day, you’ll often see lines outside even at 7 or 8 AM. Space is open from 11 PM Saturday night to 3-4 PM Sunday afternoon. What are the best nights to go to Space? Space is open every Saturday, and some Fridays. What is the dress code at Space? 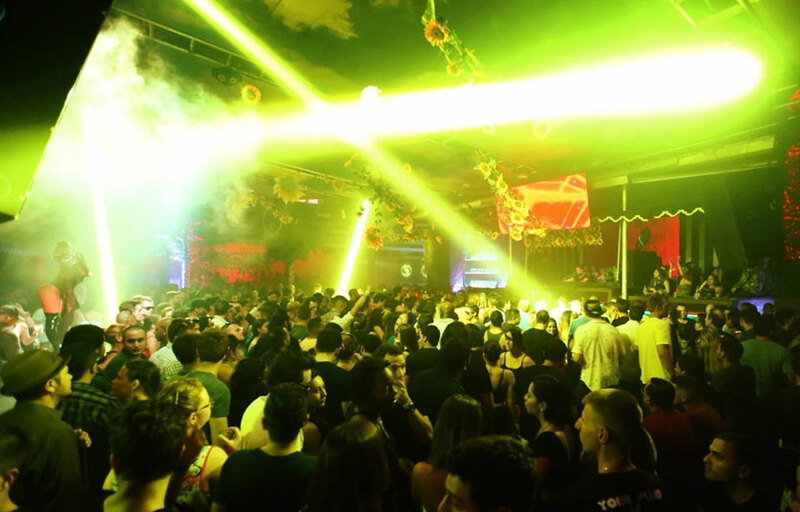 Space typically is one of the less dressier clubs in Miami. Especially during Miami Music Week, you can get away with wearing sneakers and a Tshirt. To be safe though we’d recommend collared shirt and nice jeans for guys. Girls can typically get in with flats. Is there parking near Space? Parking: $5 – $20. Best to arrive around 1 AM for parking. How much do drinks cost at Space? Mixed drinks and shots are roughly $15-18 apiece. Bar is open all night. What kind of music do they play at Space? 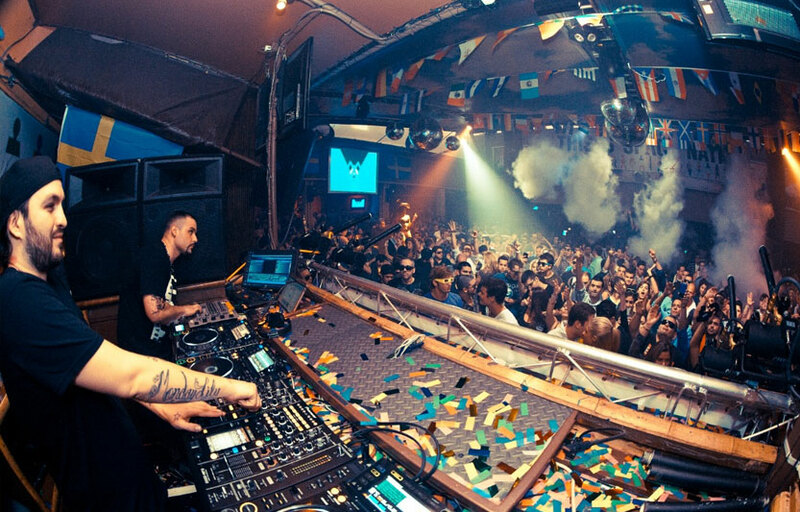 Space typically plays Electronic music – the style depends on which music is spinning. Where can I find an list of upcoming events / DJs at Space? You can download the Discotech app to see upcoming events, and book tables for Space. You can also visit Space’s homepage for a current list of events.